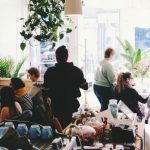 It took merely seconds after arriving for my sister and me to realize what we’ve been missing, and how much there is to do in Chatham, Ontario. 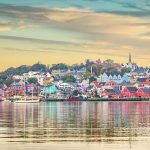 Only a few hours by train from our Toronto homes, the city of Chatham and environs (Chatham-Kent) flew under our radar as it does for so many. This underrated travel spot delivered an unforgettable weekend with its unique history, scenery and friendly people. Friday night we arrive at the RetroSuites Hotel. Originally built as the Merrill Hotel in 1890, it’s now a funky boutique inn. 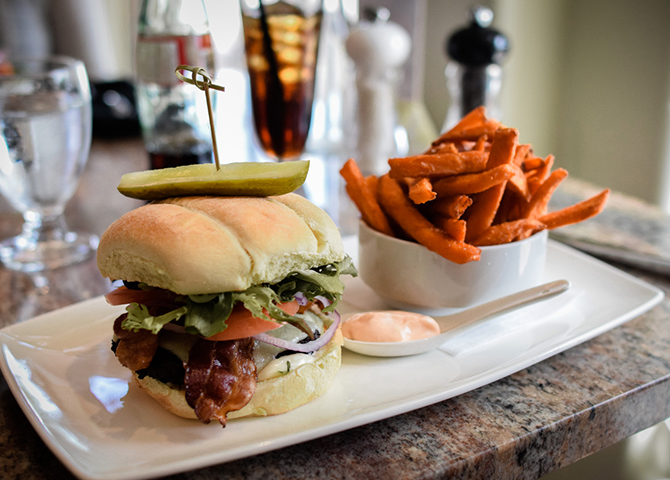 After dinner at its upscale Chilled Cork bistro, we stroll the residential downtown. 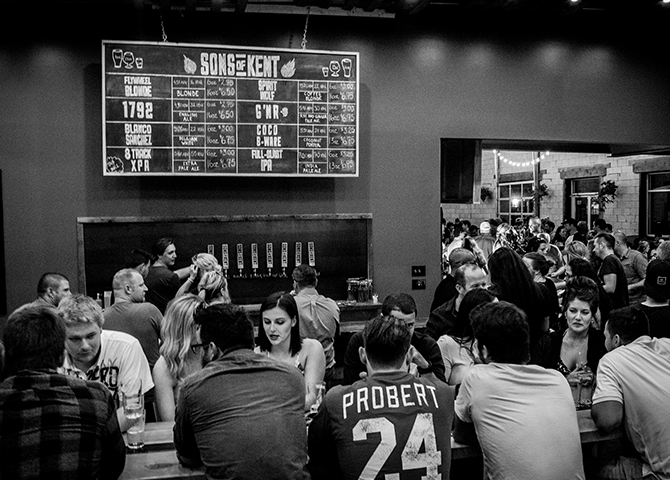 Spotting a line-up outside the Sons of Kent, a new microbrewery, we decide to check it out. Inside, we enjoy cool ale on a warm night, grooving to the live funk band and easily strike up conversations at what feels like a rowdy family wedding. On Saturday, we set out for a drive after a hearty breakfast at Churrascaria (the enormous steak wrap tempts us but we stick to eggs and sausage garnished with local Leamington tomatoes). The quiet country roads surrounded by lush agriculture is a quiet comfort to us big city folks. At Parks Blueberry, we discover a shopping mecca. 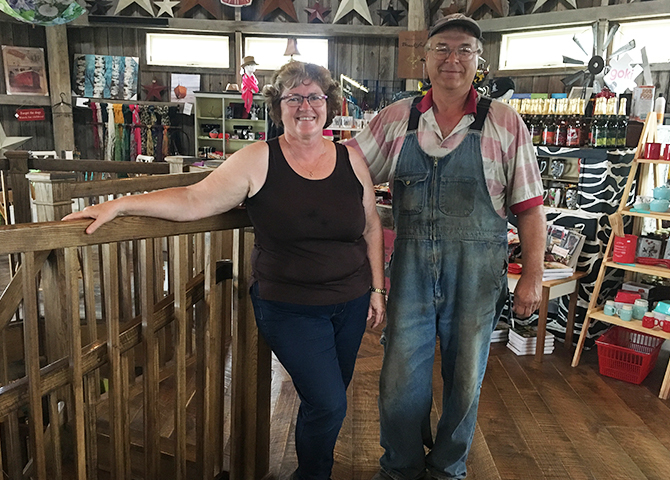 The cavernous country store has everything blueberry (jams, pies, you name it — and acres of bushes to pick your own) but also a cornucopia of home, fashion and novelty products. I love the shelf of whimsically-attired nutcracker dolls. Shopping bags bursting at the seams, we think it’s best to go. Another country find is Crazy Eight Barn. This octagonal two-story structure originally built in the 1890s was lovingly renovated. Surrounded by wild flowers, it’s a gorgeous spot to enjoy homemade soup and browse the eclectic boutique (more shopping!). 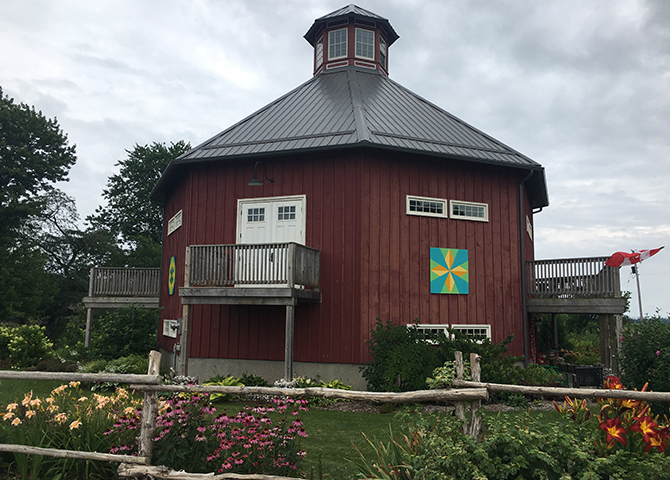 Owner Susanne Spence painted colourful barn quilts (these large paintings look like one block of a typical fabric quilt) on the exterior. There is a trail of barn quilts in the area, part of a larger movement. Later that evening, after watching the sunset over Mitchell’s Bay on Lake St. Clair we drive along Grande River Line. What catches our eye on this lonely dirt road? A barn painting next to an 1875 Anglican Church. We stop to explore the old cemetery attached to the church as it clouds over and starts to rain. We feel old spirits beckoning us to stay. Chatham-Kent is also a place to release our inner sun goddesses. Swimming in the warm, undulating waters at Erieau (Lake Erie), after sipping ale on the patio of Bayside Brewing (another microbrewery), almost rivals my experiences in the Caribbean. I love learning about how people lived, and Milner House and Ridge House Museum are beautifully preserved Victorian gems. 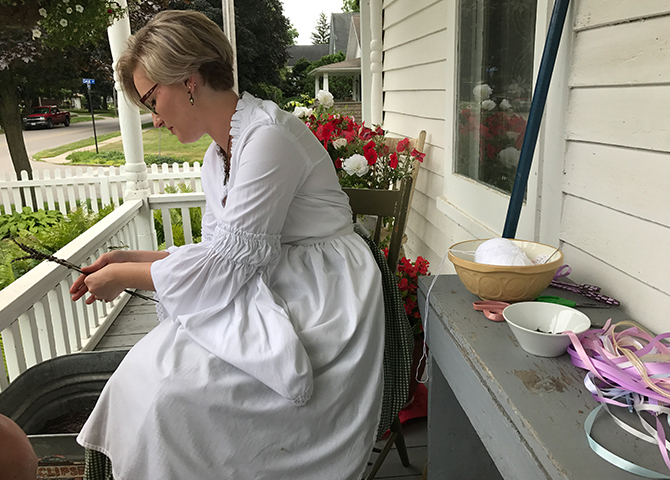 At Ridge House we make traditional lavender wands (a scented keepsake for my lingerie drawer) with curator Kate Rosser-Davies on the verandah. She tells us how flowers communicate romantic interest (roses for love; yellow flowers for friendship). At the allegedly haunted Milner House (young Blanche fell down the maid’s staircase), there are Victorian curiosities like a back door that leads nowhere (homes considered ‘under construction’ paid less tax) and intricate wreaths made from hair collected in women’s brushes. In the parlour, we listen to a fox trot on the gramophone while gazing at the wall of painted family portraits, realistic as photographs. Talented matriarch, Emma, gave away most of her artwork because selling them would suggest the family needed money – a disgrace by Victorian standards. 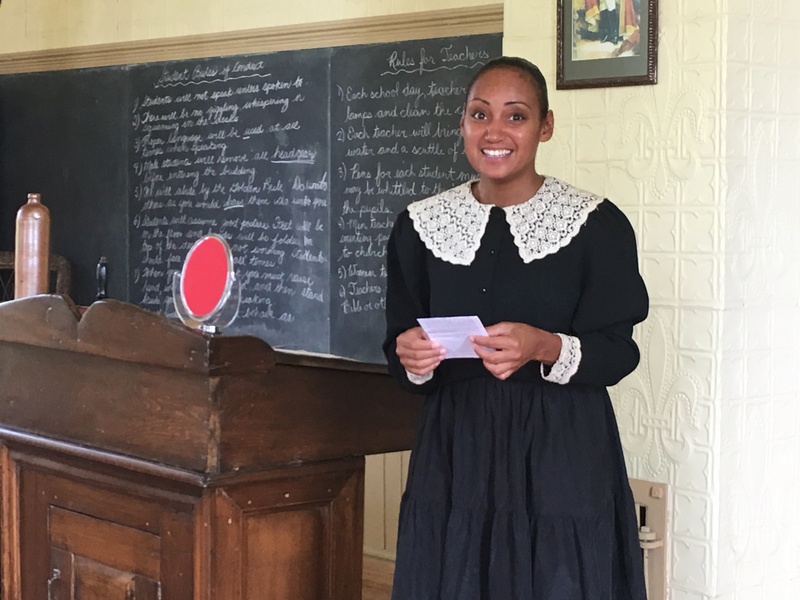 Chatham-Kent’s most remarkable history is witnessed at the prosperous early black settlements of Uncle Tom’s Cabin and Buxton National Historic Site & Museum. The real man who inspired Uncle Tom’s Cabin, (Harriet Beecher’s 1852 anti-slavery novel) is Reverend Josiah Henson – a “conductor” on the Underground Railroad. The museum’s displays, such as spiked collars used to “control” slaves, are graphic reminders of cruelty. On the grounds, we visit Henson’s home, the church where he preached and the cemetery where he and other black settlers are laid to rest. At Buxton, after an informative tour of the museum, we head to its one-room schoolhouse with original tin walls and ceiling. This 1861 pre-confederation school produced many doctors, lawyers and politicians. We participate in a typical 1800s lesson, practicing calligraphy with fountain pens. Dressed in traditional school mistress attire, Heather Robbins (a descendent of original settlers) starts our class by punishing a student who put her classmate’s hat in the outhouse (part of the act). Of course, my sister and I were model students. On our way home, my sister beams, “This was the most amazing weekend.” I agree. 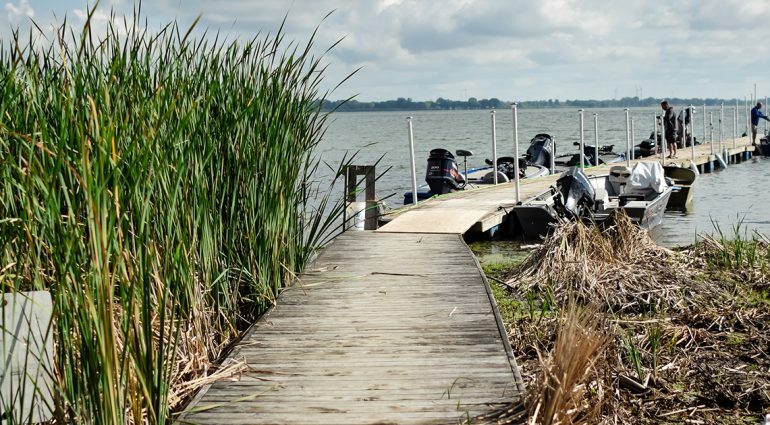 Chatham-Kent may not immediately spring to mind as a summer escape, but I’m glad we gave it a chance. There are so many things to do in Chatham. We will definitely be back. 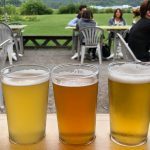 11 Comments on "“Hidden” Adventures in Chatham, Ontario"
Wow I’ve never heard of Chatham – now I have to visit and soon! Thanks for visiting our community! Come back anytime. Chatham and area has a lot to enjoy, you just have to look around Great write up Send it to our area papers. Thank you for your great summary of what we offer. How come Willow Ridge Pub and Eatery was left out . And a great farm market Pardo Villa Farm Market and Bakery . For car enthusiasts, Chatham Kent is the old car capitol of Ontario. So many old car related activities to attend. Thank you for a great blog. Appreciate the way you describe the details. Going this week for a work conference selected a few places to visit in Chatham from your blog. Thanks.